I’ll Have a Shirley Temple… and Make It Black. So I resolved then and there to create a drink in Jane Withers’ honor to make up for nearly seven decades-worth of slight. For those of you not well-versed in Depression-Era (the 1930’s version, not the present one) pop culture, Jane Withers gained fame as Shirley Temple’s nemesis in a film or two, most notably in Bright Eyes. Meaner, bigger, and less endearing, she was still entertaining enough to hold her own against Miss Temple. And if I have to explain to you who Shirley Temple is, I am going to cry. When I got home, I thought about what to make and came up blank. Who even remembers Jane Withers anymore, except me, I mean? Should I just simply do a take-off of a Shirley Temple? Would I add bitters? Make it taller? I was frustrated. There is little pay-off in naming anything after a child who lived her early years in Miss Temple’s enormous career shadow. And, suddenly, there was the answer. I decided then and there to forget all about Miss Withers and create an adult beverage in honor the infinitely more famous Miss Temple. I know what you’re thinking– I’m a star-(expletive)er. Well, I guess you’re right. I am a star-(expletive)er. And why not? 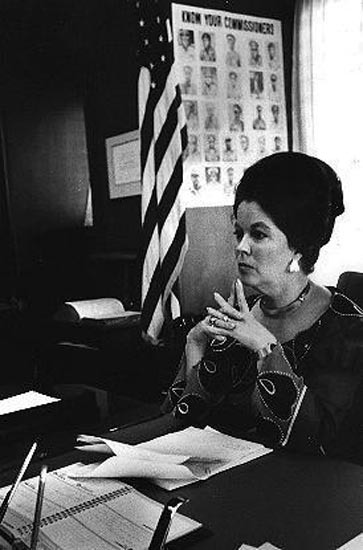 Shirley Temple the mega-child star transitioned successfully into adulthood as Shirley Temple Black– wife, mother, representative to the United Nations General Assembly (Nixon), the first female Chief of Protocol of the United States (Carter), and U.S. Ambassador to both Ghana (Ford) and Czechoslovakia (Bush the Elder). If anyone has earned a good, stiff drink, it is she. The Shirley Temple is far-and-away the most popular “kiddie cocktail” in the world– fitting that it was named for the most popular child actor to have ever existed. The original Shirley Temple drink was, as one rumor has it, created by a bartender at The Royal Hawaiian Hotel in Honolulu in the 1930’s– a place Miss Temple visited with her family many times. It is a non-alcoholic beverage made with ginger ale or some sort of lemon-lime soda, grenadine syrup, a garnish of maraschino cherries and a slice of orange. The Canadians love to add a splash of orange juice, and so do I– it just makes the thing that much more wholesome, which is something Canadians know all about. After all, they did send us the original America’s Sweetheart, Mary Pickford. Miss Pickford, if you didn’t know, served as the hairstyle inspiration for Miss Temple. No Pickford, no Curly Top. The whole notion of kiddie cocktails centers around their ability to allow children to participate somewhat benignly in adult cocktail culture– preparing them in a sense for their futures as alcohol-swigging grown-ups to whom they look up, both physically and morally. Maybe they’re not so benign, after all. The idea of the Shirley Temple Black is entirely upside down. It is a drink that allows me to mix and mingle with the wee ‘uns from time to time without having them point at my Manhattan and ask what’s in it. With an innocent-looking, yet boozy Shirley Temple Black, I can gently tone down those shrieks of bouncy castle delight, or steel myself for the twenty-seventh consecutive screening of Thomas the Tank Engine more or less unnoticed. • Orange zest or a slice of orange for garnish. Fill a highball or double old fashioned glass with crushed ice. 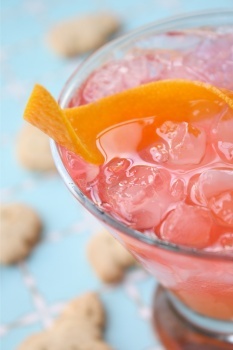 Pour in rum, maraschino liqueur, grenadine, and splash of orange juice. Fill to near the top, but not brimming (remember, there are children present whose motor skills aren’t yet finely tuned) with Ginger Beer and garnish with orange. Drink immediately to bring your own motor skills closer the the level of the precious little ones. Just like a Roy Rogers is the classic cola-based alter ego of a Shirley Temple, I felt the Shirley Temple Black was in need of a foil. Feeling guilty that I was turning away from the woman I had originally intended to honor, my friend Rebecca suggested this drink might be delicious with a slug of rye instead of rum. It’s kickier than a Shirley Temple Black, and guaranteed to unclog your pipes faster than Josephine the Plumber. This entry was posted in Celebrities, Liquids, Stage, Film, and Television and tagged cocktails, jane withers, kiddie cocktail, recipe, shirley temple, shirley temple black. Bookmark the permalink. 15 Responses to I’ll Have a Shirley Temple… and Make It Black. How freakin’ funny is this?!! Your post in homage to Shirley Temple and Jane Withers brings back a veritable good ship lollipop of memories for this native San Franciscan ABC: Saturday mornings watching (and singing along to) Shirley Temple movies on channel 44, the first record I ever bought with my allowance was a Shirley Temple compilation double LP, ordering a Shirley Temple at Maxwell’s Plum, hissing at Jane Withers but feeling a secret sisterly bond with her, my Scholastic Shirley Temple bio, marveling at the mysteries of adulthood when comparing the ringletted child star with the sober black haired diplomat. Oh my word! Oh, how this cracked me up! I don’t even drink, but I always think that if I ever started, I would be in the McDonald’s playroom when I did! The shrieks of bouncy castle delight are such a reality for me. And that clip from the movie – ha! I loved Shirley Temple when I was little, but I don’t think I’ve ever seen that before. Thank you for this. Deborah– A Shirley Temple album was the first you bought with your own money? Wow. Mine was Roberta Flack’s “Killing Me Softly” when I was 7. It was for my brother. Becky– I can remember being trapped inside a caged trampoline with six children between the ages of 4 and 10. I was traumatized. Fortunately, parents were on hand to administer tranquilizers (read: cocktail) immediately. That’s funny, my psychoanalyst told me there IS a Santa Claus. No flashbacks to Shirley Temple movies, but a flashback to Gilmore Girls episodes (or I’m just saying that to preserve an illusion of youth)…and we never could find a good Shirley Temple Black recipe. Lorelai: (sighs, hands Rory a drink) Here. Rory: What are you drinking? Lorelai: A Shirley Temple Black. Rory: (sniffs at it) Wow. Lorelai: I got your Good Ship Lollipop right here, mister. Nicky– What else has that man been telling you? I will await your next blog posting for the much-anticipated over-share. I hope it’s about foil-wrapped bunnies and how you gave up both chocolate and emails for Lent. Roy– I’ve never seen Gilmore Girls. Is it like Golden Girls, but for the younger set? And I may have to borrow Lorelai’s last line sometime. Roy is now my new hero for pulling that one out of the hat in the space previously occupied by a rabbit. You’ve never seen Gilmore Girls? This is a problem. You need to talk to my shrink. I concur with the sentiment that you not having seen Gilmore Girls is a problem. Are you a server? Of course there’s nothing wrong with bring a server it’s just that you are such a good writer I thought you would be in a literary field. I am a server. It’s what pays my rent. And I don’t think there is anything wrong in it either. I happen to take pride in what I do and am v. v. good at it. Or, at least, I like to think I am. It would be lovely to be “in the literary field”. I just have to figure out how to make more than grocery money doing it. Any suggestions are most welcome. You write about the most interesting and wide-ranged topics and however you get your inspiration I just look forward to reading your blogs. As for paying the rent – if the amount of enjoyment your writings bring to others could be translated into dollars then you would be a very rich man. I found this post after watching an episode of MASH where Frank Burns is drinking a Shirley Temple. Hawkeye and Trapper make fun of him ordering him a double with a Jane Withers chaser. Carena– I had no idea, but it makes me glad to know I’m in good company in terms of how I think about cocktails. Thanks for the alert!